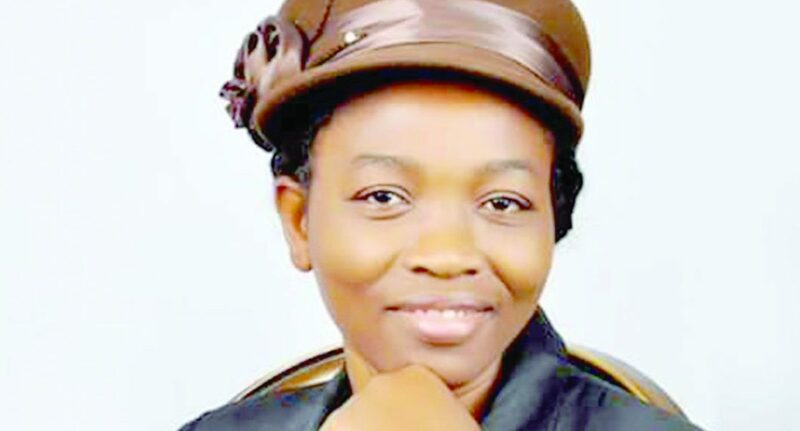 Olusola Bankole recently emerged chairperson of the Federal Capital Territory chapter of National Association of Proprietors of Private Schools (NAPPS). In this interview, she gave insight on intervention of private schools in the education sector. What precisely is the role of private schools in provision of quality education in Nigeria? The intervention of private individuals in Nigeria education system undoubtedly heralded unprecedented positive transformation and revolution in the nation’s education system and that is evident in the performance of the students academically, morally and otherwise. The feat of private students in international programmes and competitions is a testament of how well equipped they are with skills and knowledge when put side-by-side with their peers in public schools. But don’t get me wrong, that is not to say that public schools have not done marvellously well over the years, particularly in providing quality and affordable education to Nigerian children. I was a proud product of public schools and so was majority of my colleagues in NAPPS. It was the rot in the education system that made many of us who are passionate about quality education service delivery to enter into the arena of providing educational services to protect the future generations. Howbeit, the success secret of private institutions is that they run on innovative ideas and seriousness required for successful business venture. Let me remind you that the world is ruled by knowledge and skills, in addition to 21st century technology which has totally redefine our way of life and business. The main focus of our members is to produce global citizens that would provide solutions to global economic, political, security and cyber challenges. Have private schools truly met the expectations of parents? If you check academic records, you will realize that our education system took positive drive when government opened the space for private individuals to run schools at basic, secondary and tertiary levels. At the risk of sounding arrogant or self praise, I can convincingly confirm that private schools have contributed significant to education development in Nigeria in spite of harsh operating environment it found itself. Remember that no form of support is received from government. We are forced to be creative and innovative to remain in business of education service delivery without compromise on quality and standards. With all sense of modesty, parents and government are happy with us and they have testified to it repeatedly in different fora. So many parents feel proud of the academic, social and moral transformation of their children as evident in their academic performance, character, utterances, behaviors and several others. Most often, we provide engaging and interactive extra curricular activities that stir the creativity and curiosity of the students. However, we would not be complacent. We would rather continue to strive hard to ensure that next generation of Nigerians are rich in academic, mental and physical development which are key prerequisite for relevance in 21st century world. Is it true that most private schools are profit driven? That statement may not be totally true given the operational conditions we found ourselves in Nigeria. Like I said earlier, our members operate in very harsh and unfriendly conditions. It takes huge financial investment to establish and run a quality and standard private school in Nigeria that would offer quality and affordable education services. It may interest you to know that some of our members record huge financial loss at the end of every academic year due to operational cost. It’s a known fact that quality education is not cheap. It takes a lot, in terms of financial and logistics investment to provide quality education. Remember that government does not offer financial and logistics support as being the case in public basic and secondary schools which enjoy financial intervention from the Universal Basic Education Commission (UBEC) and other local and international donor agencies. We hope that one day, help would come from government and that would significantly reflect on the cost and quality of the educational services we would render. Some states government claimed they have made public schools attractive and parents are withdrawing their children to public schools, how true is this? I might tend to disagree with them in this regard. I do not agree that it is because of better quality service that parents withdrew their children from private schools to enrol them in public schools. The harsh economic situation could be responsible for that. I wish though that public schools could be as competitive as private schools. But otherwise is the case. Regrettably, government officials that ought to change the narrative have not helped matters. Their approach to issues of basic education system is not encouraging at all. They forgot that basic education is the foundation and root of academic excellence and national development. On the contrary, I expected that governments should rather be full of praises to private education providers for the significant and timely interventions that renewed the hope for a greater Nigeria that would be championed by well educated, cultured and trained children. Is the allegations that some of your members compromised in teachers engagement true? Thank God you said “some of our members” and not all of us. Undoubtedly, there are always bad eggs among us and I will put the blame on the regulatory bodies who are supposed to set a minimum standard and qualification for recruitment of teachers and ensure total compliance. Be that as it may, I can assure you that majority of our members whose reputation for standard and integrity hardly cut corners in recruitment and engagement of teachers. I can confirm to you that the process of recruitment of teachers in private schools, especially those that are our members is often more intense, effective, transparent and competitive, because of the need to hire the best hands. However, there is a popular saying that in every 12, there must be a Judas. As the case in other professions, you can’t rule out persons who might choose to operate outside the operational rules and regulations for obvious selfish reasons. There are “bad eggs” amongst us, there is no dispute about that. But NAPPS at national and FCT level has never hesitated to apply necessary sanctions on members found wanting in one way or another. It serves as deterrent to others and protects the credibility, reputation of NAPPS, and maintain standard of operations. Exam bodies alleged that private schools encourage exam malpractice. How true or otherwise is the allegation. The statement may not be totally true. However, we have heard and received reports of several fraudulent actions of some private schools as regards examinations. Some of them call it “exam miracle centers”. They collect huge amount of money from candidates and give them 100 percent assurance of success in the exam. These are people that damage the image and reputation of private schools in the face of exam bodies. They are located at several known and unknown places doing their deals. But I am surprised that these exam bodies are complaining because I know that I have more and credible intelligence and information than any of us. They also know what to do in that regard. I still blame them for schools that engage in examination malpractice. They know what to do to stop it if they want. They could decide which schools are accredited or deny accreditation. Additionally, more stringent measures or sanctions could be applied on any school found to be involved in exam malpractices to save the system from further damage. What other way(s) does NAPPS monitor members to ensure compliance on quality education? FCT chapter of NAPPS is doing a remarkable job of encouraging members to live up to the expectations of the society particularly in offering outstanding educational services. We lay serious emphasis on quality delivery and collaboration for more effective teaching and learning activities. Another way NAPPS and private schools have the upper hand include; constant training and retraining of staff members for more effective and efficient service delivery. We equally encourage small classroom size that helps teachers to reach, interact and monitor individual students better. But the most important thing is that private school proprietors are generally committed and passionate people who have decided to contribute to national development by salvaging our ailing education system. We recently launched the #NoRush-Push programme in NAPPS FCT to restore the original progression as intended in our system and discourage parents from rushing children through school.